Hey guys!! 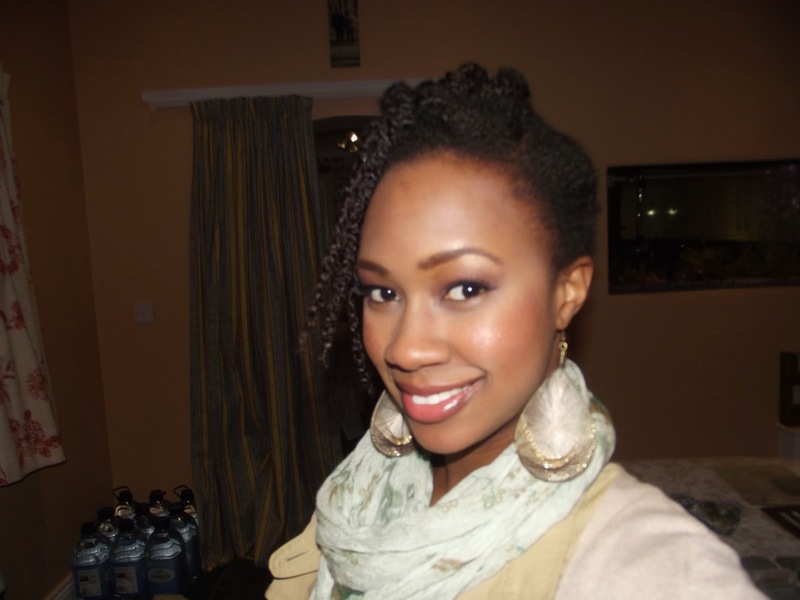 Here are a few ways I tried to dress up my natural hair while in its protective style. You can play around with lots of different accessories and creative styles. 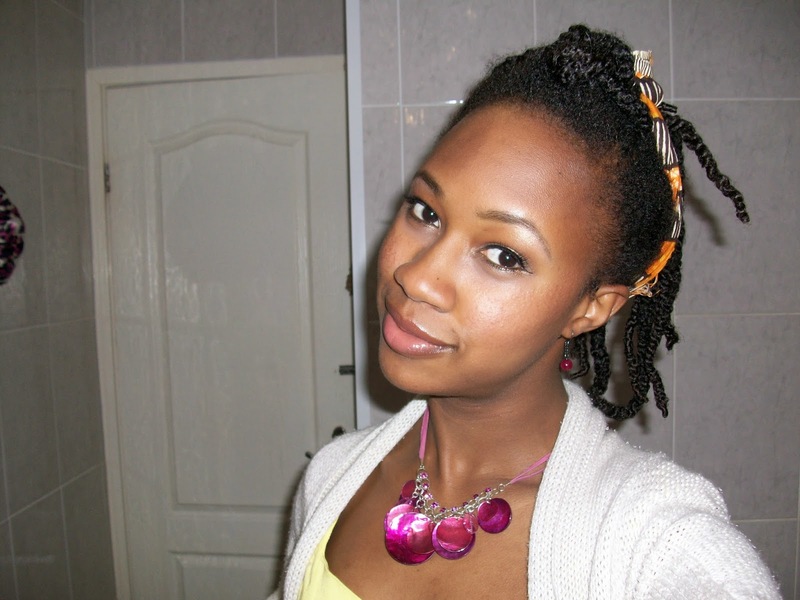 Look 1: This was an old necklace I found, I’m thinking, a bit of DIY to turn it into an African inspired head piece. 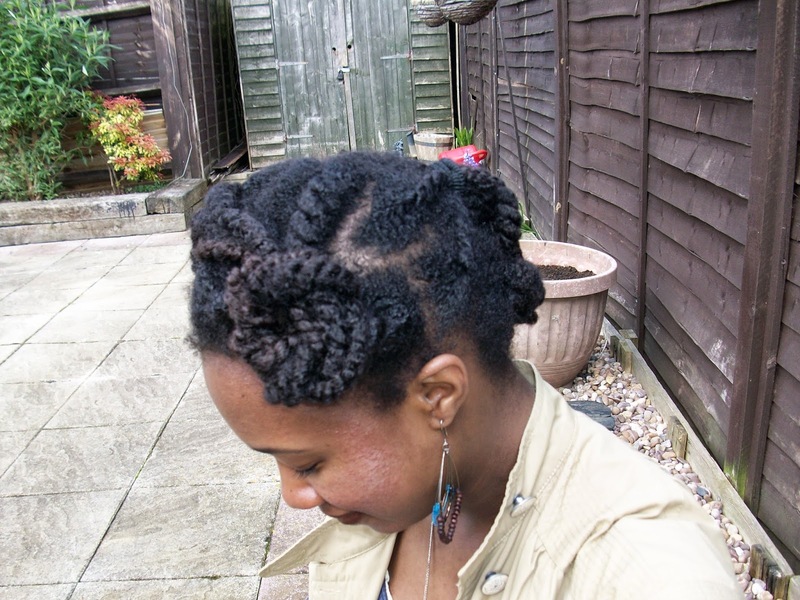 Look 3: Those chunky twists can make a statement all by themselves. Pick a style that accentuates them. 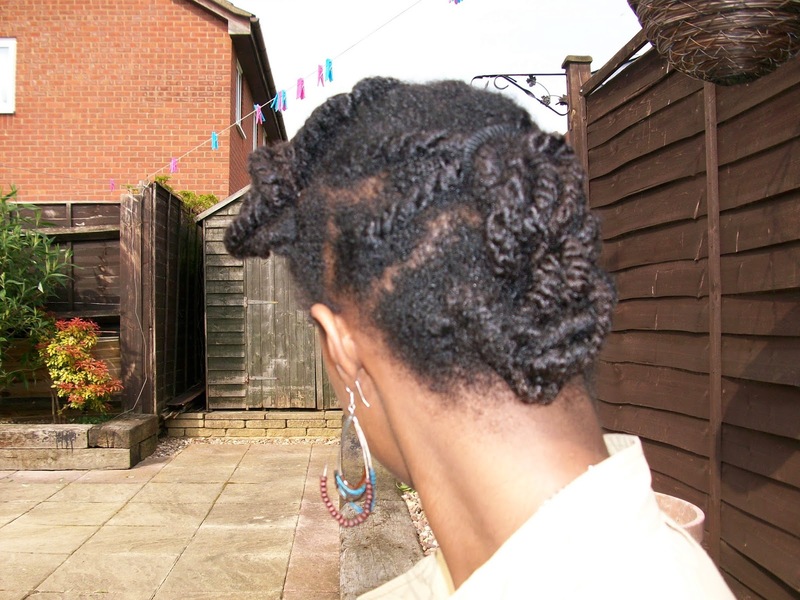 Look 4: Another fun way to style your twists would be to do a twist out at the front and style it into a victory roll while the rest of your hair is still in twists. 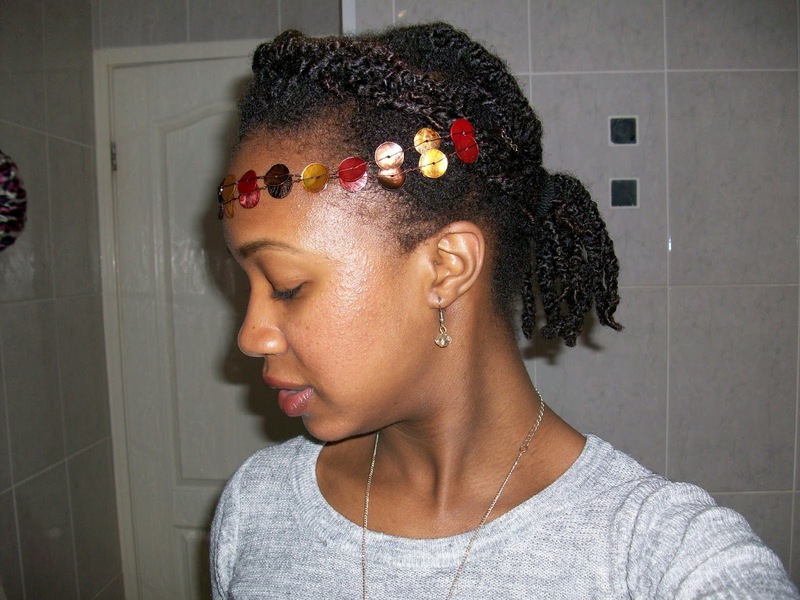 This helps maintain the protective style for your natural hair. 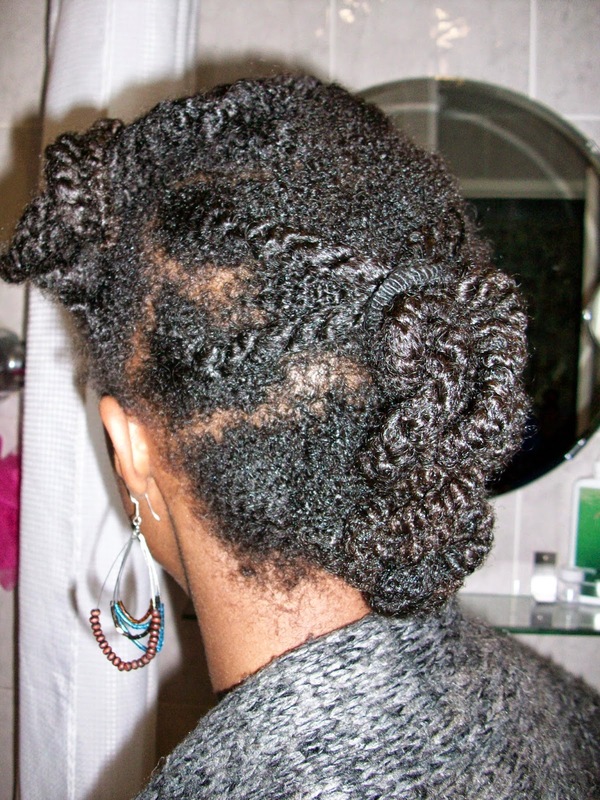 Look 5: Have fun and play around with those twists, you never know what style might come up. 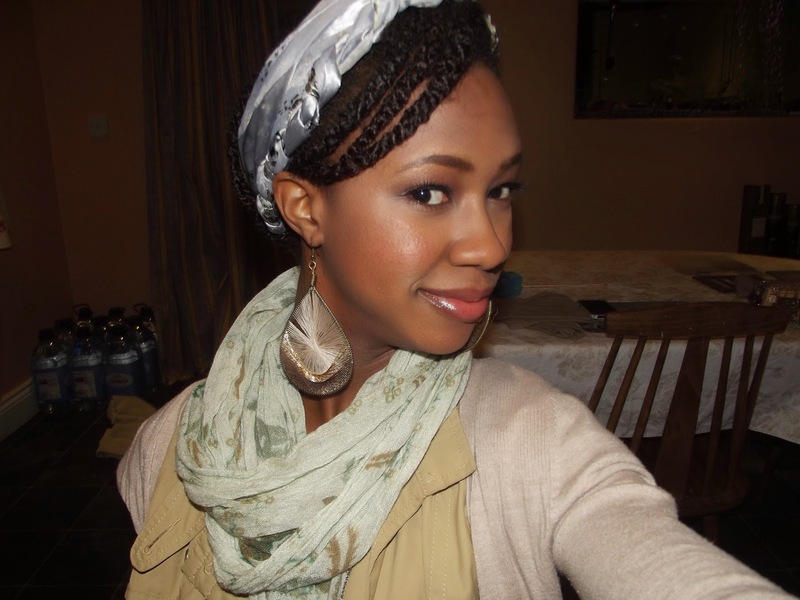 Look 6: Head scarves and big statement earrings are another way to dress up your protective style. 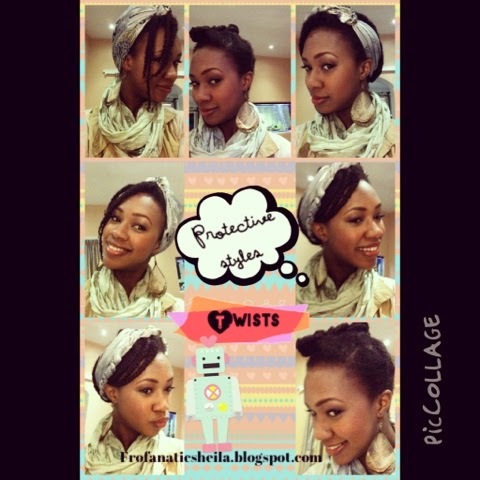 It can start to feel a bit mundane when you have a protective style over a long period of time. Playing around with different accessories and styles gives you a different look breaking up the monotony a little bit. 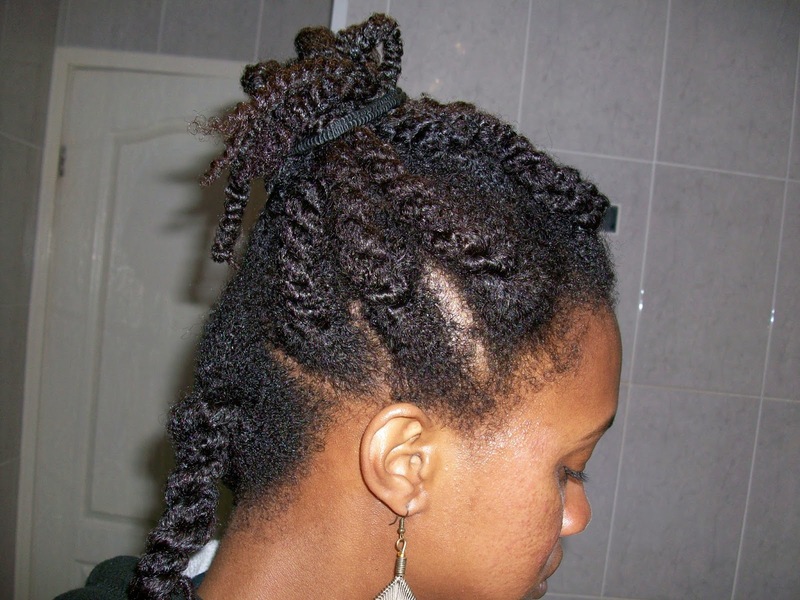 For a neater look you can use a comb to section your twists. I like to finger part my hair cause it’s quicker as I usually twist my hair up in the shower after shampooing and conditioning. Hope this helped. 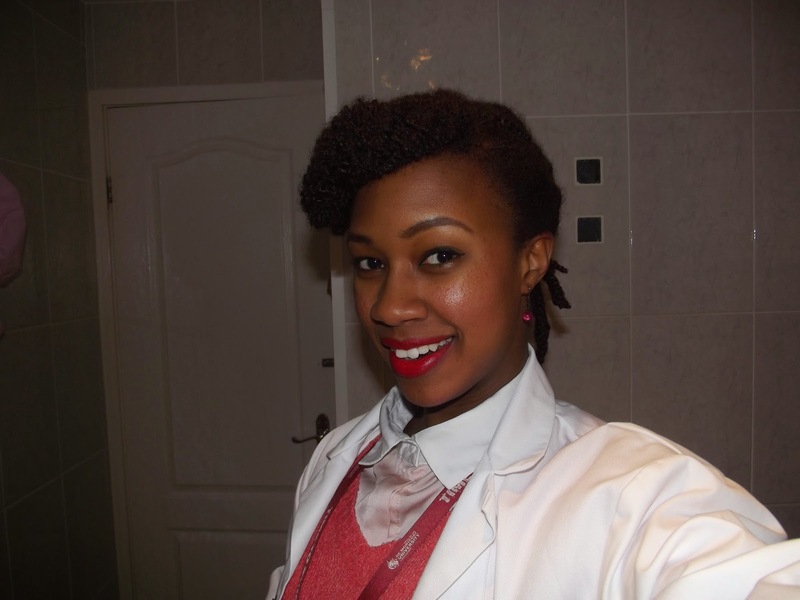 Have fun with your hair 🙂 If you’ve got a protective style you’d like to share on the blog send me an email with a picture of your protective style.